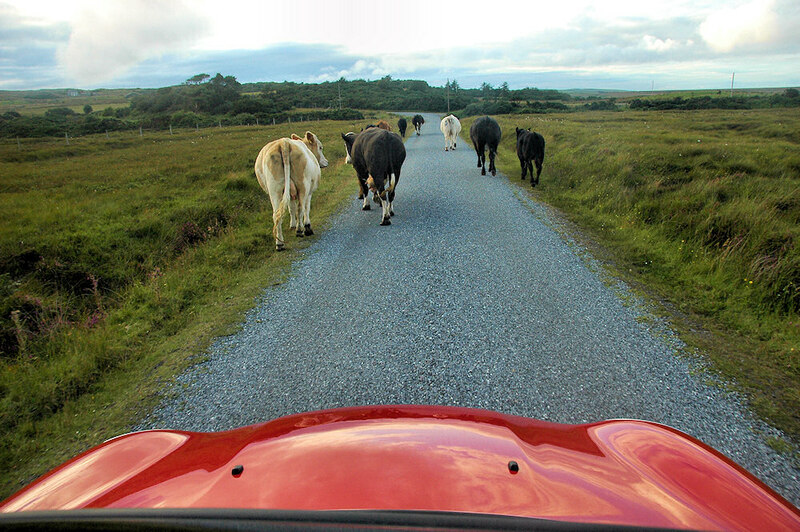 A moving road block on Islay of the living kind. This was on the B8018 near Foreland. This entry was posted in Cloudy Weather, Landscape, Repost and tagged cattle, Foreland, Islay by Armin Grewe. Bookmark the permalink. Fantastic picture! The two closest to the car appear to be conversing!